Hello everyone, my front headrests are broken and i'm trying to replace them. The one on the passenger side was fairly easy to remove (it took like 2 minutes to remove it) but now i am stuck with the one on the driver's side. The one on the driver's side is powered. In order to remove the front headrests you need to remove the seat back panel, press on a little lever/metal piece, and then press the button on the headrest and then simply pull it out. 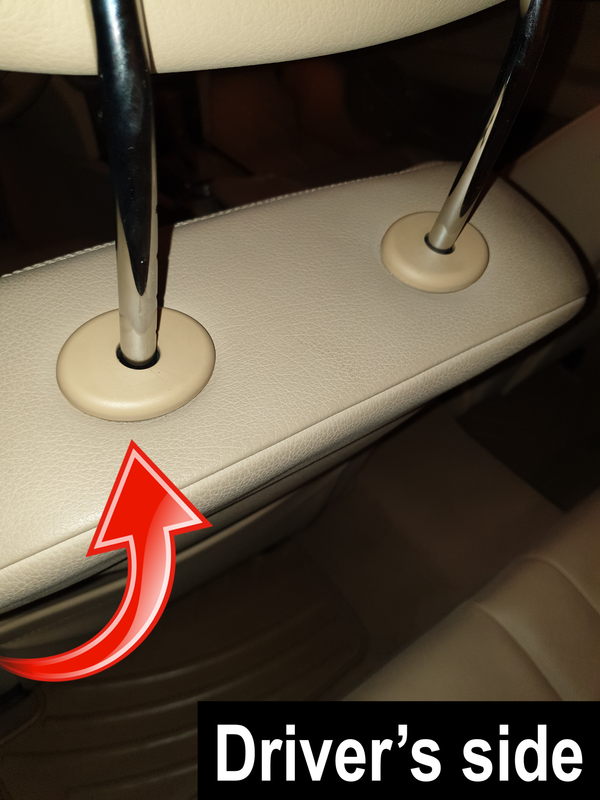 However the problem with the power headrest is that it doesn't have a button on it (as shown in the pictures) therefore i have not been able to pull it out. When i try to pull the headrest out it feels like something is blocking it and i don't know what. Is there a secret button somewhere? Does anyone have any idea how to remove the power headrest ? The answer to your question is found in what you wrote. I made it bold. 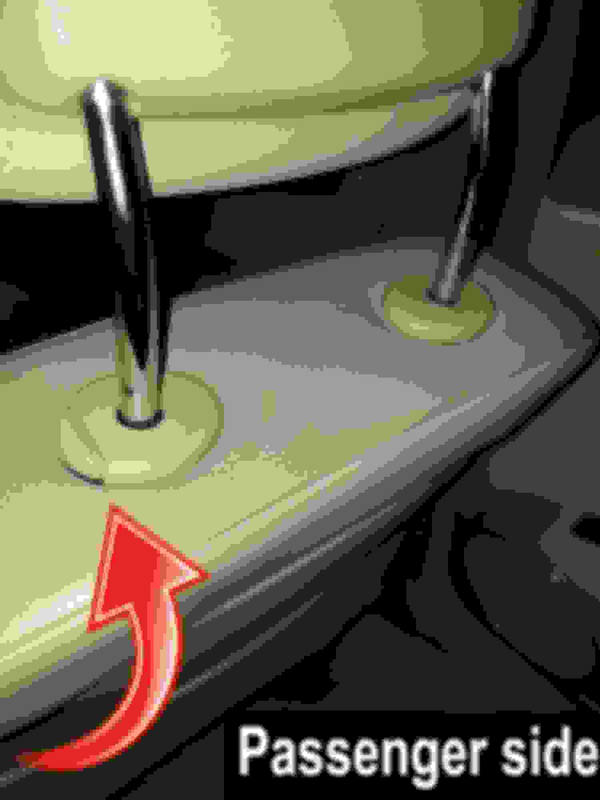 You have to remove the seat's back panel to access the latch/lever that will release the headrest. It's usually a couple of screws to remove the seat's back panel. I removed the seat's back panel to access the latch/lever but even though i pressed on the lever the headrest seemed stuck, it's like there's another lever/button somewhere that doesn't let the headrest to slide out (driver's side). On the passenger side on the other hand i was able to easily remove the headrest by pushing on the latch/lever + the button that's on the headrest (as shown in the pictures), and then i just took the headrest out. On the driver's side there's no button on the headrest itself and pushing the latch/lever does nothing. I also tried to move the headrest (while pushing the latch/lever) by using the electrical button (on the door - seat controls) but the electrical motor stops when it reaches its maximum height.